Gluten Intolerance: Fact or fad? - Philip Ranheim M.D. Home / Blog / Nutrition / Gluten Intolerance: Fact or fad? Gluten Intolerance: Fact or fad? Not too long ago nobody was talking about gluten except for a few people with serious celiac disease. Now half the country seems to be obsessed with a little protein that “glues” bread dough together. What’s the big deal now? Both the frequency of the condition and the level of awareness has increased a lot. Changes in the way food is made commercially combined with increased usage of certain medications may be important driving factors. What is gluten? It is a protein found in wheat, rye, barley, American oats and some other grains. Why is it is helpful? It holds bread dough together so when yeast is added the dough rises. What parts of the body are more likely to react to it? Commonly symptoms involve the GI tract, skin and nerves. What are some symptoms of “celiac disease”? Common symptoms include bloating, diarrhea, abdominal pain, constipation, weight loss, fatigue, irritability, mood swings, joint pain and foul-smelling fatty stools. What are the symptoms of non-celiac gluten intolerance? Similar symptoms may be present even though laboratory testing is negative and villi have not been lost. Why do some people have the problem while others don’t? Genetics plays a role– excessive intake of gluten and the use of acid limiting medications may also contribute. How careful do I need to be? The patient with classical celiac disease, biopsy proven, has to be extremely careful to avoid any and all gluten. Persons with milder intolerance have a little flexibility but should be cautious. Chronic exposure to even small amounts of gluten over 5, 10 or 15 years may cause certain conditions to arise such as arthritis. This may not be a small issue for you. How do I treat it? Avoidance is the only sure treatment. Some “super enzymes” may provide partial protection. Will I ever get better? Time will tell–those with genetic predisposition may have the condition for a lifetime. What if I make a little mistake and have some gluten? You will see how sensitive you are either quickly or later. Do I need to have endoscopy and a biopsy? This procedure can help pin down the diagnosis. Those patients who cannot afford it simply need to stay off gluten long-term. What process is going on in Celiac disease? A specific protein found in many grains triggers an autoimmune response leading to inflammation of the intestines and a loss of the absorptive surface of the gut (the villi). Unable to absorb nutrition these patients get diarrhea with weight loss and nutritional deficiencies. If I don’t have celiac disease, why might I not feel well in my abdomen? You may have other sensitivity reactions or delayed allergy mediated by IgG or IgA pathways, fermentation symptoms coming from ingesting FODMAP foods, or reactions to contaminants in the food such as natural toxins or possibly even synthetic toxins like glyphosate. Is there always only one reason why a person may have GI symptoms? Some persons may have more than one reason at the same time for why they don’t tolerate a certain food. Practical, low cost tests are available to begin exploring the possibility that you have gluten intolerance. Many symptomatic gluten intolerant persons are not biopsy positive for loss of villi (classical celiac disease). While some people see gluten-free as the latest health fad, for many folks it is real because exposure makes them sick. If one person has gluten intolerance test the whole family. 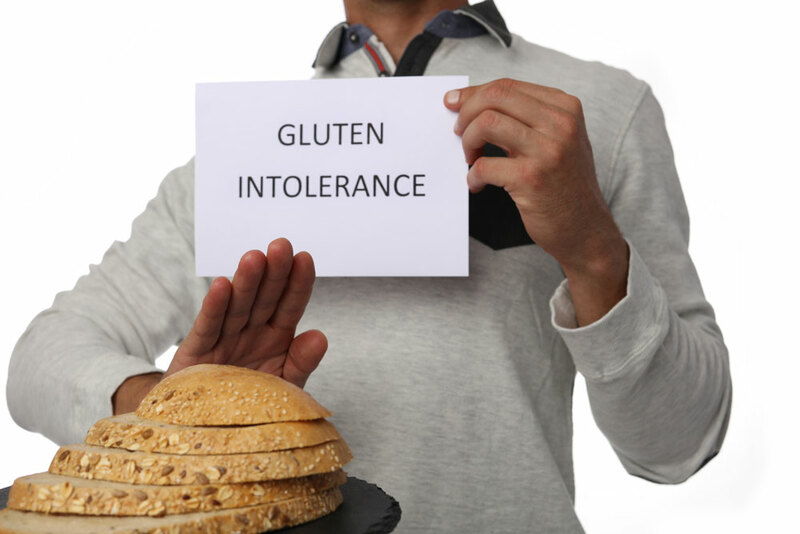 Severe cases of gluten intolerance require super strict avoidance of all gluten. Consider gluten intolerance if you have a long history of symptoms (involving the GI tract, skin, nerves, joints or energy). Wheat occasionally may trigger serious immediate IgE anaphylaxis separate from gluten intolerance. Ask your doctor if you are at risk. Pain, bloating and diarrhea may also appear for other reasons such as ingesting fermented food products and both natural and agricultural toxins. The future is variable: In severe cases consider gluten related cancer risk. If you have gluten related problems you probably will need to be careful most of your life. Supplements: does anybody ever need them?